22 lb / 10 kg capacity. Weighs in 2 oz / 50 g increments. Large 5" x 5.5" dial with black graphics and red pointer. 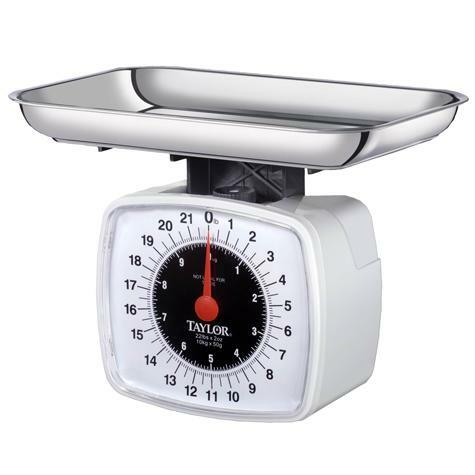 Oversized 10" x 7" stainless steel weighing tray. Scratch resistant crystal clear lens. Easy to recalibrate dial mechanism.